The people of Umuahia East constituency in Abia state, Wednesday, vowed to ensure that the Peoples Democratic Party, PDP-led government in the state is brought to its kneels in the forthcoming 2019 elections. This was as they criticised the state governor, Okezie Ikpeazu, and the current member representing Umuahia East in the Abia House of Assembly, Chukwudi Apugo, of alleged poor performances since assumption of office in 2015. The Umuahia East constituents claimed that the duo have failed to carry out and attract people-oriented projects to their doorsteps, and resolved to use their Permanent Voter Cards, PVCs, to show the Governor and the lawmaker the way out. 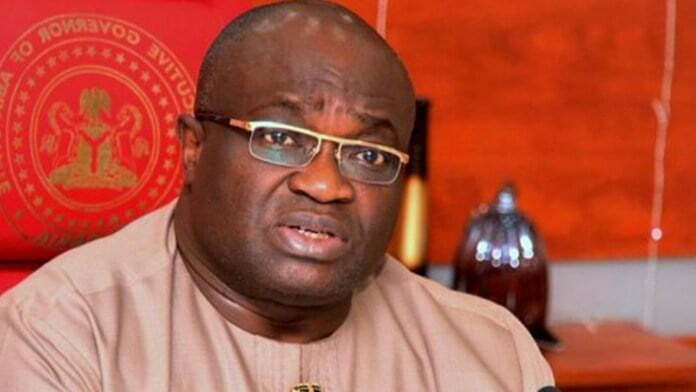 The aggrieved constituents, who made their position known in a statement issued to newsmen in Umuahia, the Abia state capital, by their leader, Abraham Omenazu, said, â€œWe have been neglected by the Abia state government despite over 19,000 votes we gave the PDP during the 2015 general elections. â€œWe want to state clearly that come 2019, the ruling PDP in Abia should start packing because the entire people of Umuahia East and indeed, Abians in general, have lost confidence and trust in the present administration.